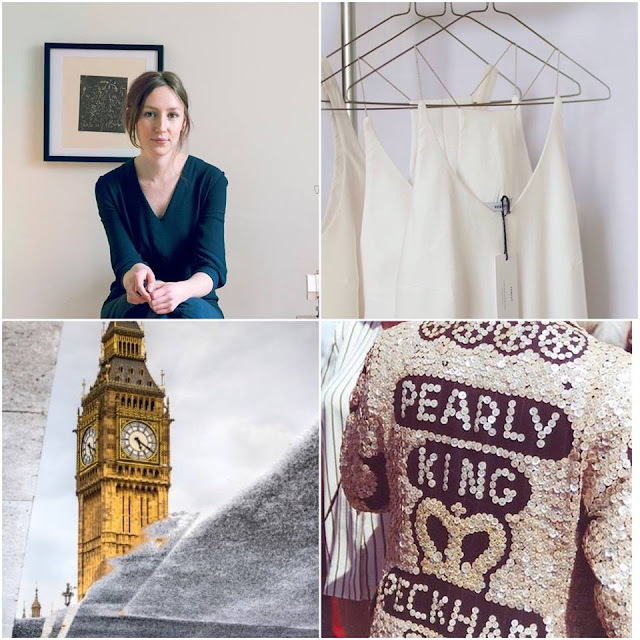 Veryan Raiker is a London based sustainable designer who has created a beautiful collection of clothing and accessories under her brand, BY VERYAN. I asked the lovely Veryan to share an ideal date night for Valentine's day or any ole day in London. I love evening’s spent at live music events, so always check what’s on at LSO St Luke’s. It’s one of my favourite venues in east London, really relaxed and a beautiful place. You can take in a glass of wine and listen to interesting and unique musicians—the last act I saw there was Colleen. She played a solo set, looping sounds one on top of another to create layered, intense music—so good! You’ll always see someone special there. I’ve always lived south of the river, so am a big fan of Peckham—the cosy Refreshment Rooms there offer some of the tastiest, locally sourced food. The atmosphere’s wonderful, you can while away a whole afternoon there. Around the corner from the Refreshment Rooms is Peckham Springs, which does amazing cocktails (I love the espresso martini). Next door to it is the Sassoon Gallery, which is often open late, so you can see work by local artists, then sit outside with a cocktail or beer from a London brewer.